Carports are a great way to add more space to your house and, making your property more secure, and enhancing the street appeal and the value of your home. Just by adding a secure door, you have a safer place to leave your vehicle and other belongings. 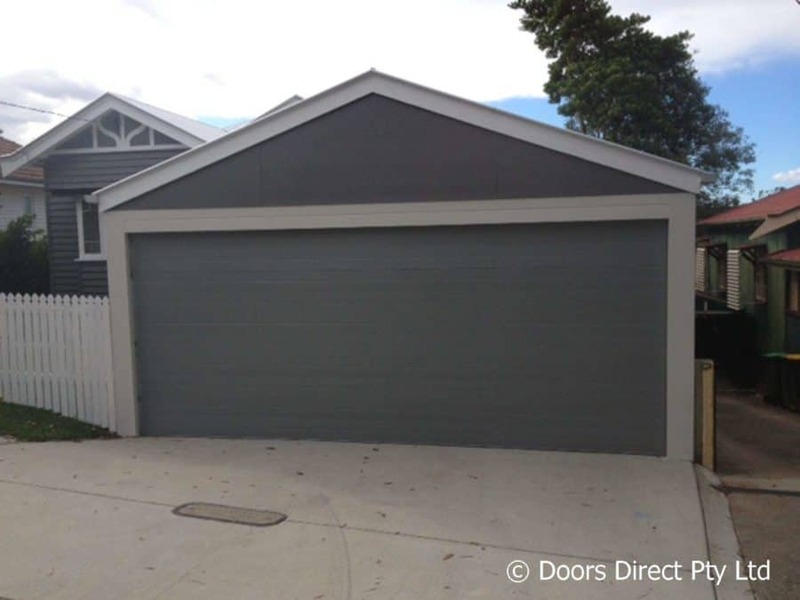 Most carports sit right on the fence line of the property so why not make it visually appealing as well as useful and install a new garage door? Depending on how the carport is built, you can have a sectional / panel lift door, roller door, tilt door or custom aluminium garage door. All of our garage doors can be motorised for your convenience so that when you drive up to your house, you don’t need to get out of the car! Sectional/panel lift doors are overhead doors that are great if you have space. They have a series of panels formed together as a single door, and are very popular due to their sophisticated look. Roller doors are another option for carports. They are a cost-effective option that still looks great in front of any home. If you have a small carport, then a tilt door may be the best option. They are ideal for limited spaces, working on a spring balance hinge. Carports could also look great with a custom aluminium door. They require very little maintenance and will last for years. Most of our garage doors for carports can be customised. It starts with the size. There are standard garage sizes, but to ensure the perfect fit, each and every job is measured for accuracy. There are no estimations in our work, so you know you are getting a garage door that will fit, and effectively weatherproof your carport, keeping your vehicle and other belongings safe. Thanks to Colorbond steel, you can also customise the look of your door. Stay with something neutral or go bold with greens, blues or browns. A timber-look is a great alternative to natural wood that adds a rustic feel to your home but without all the maintenance that comes with actual timber. When installing a garage door onto a carport, often extra steel work is required to form the opening to allow installation of the garage door. 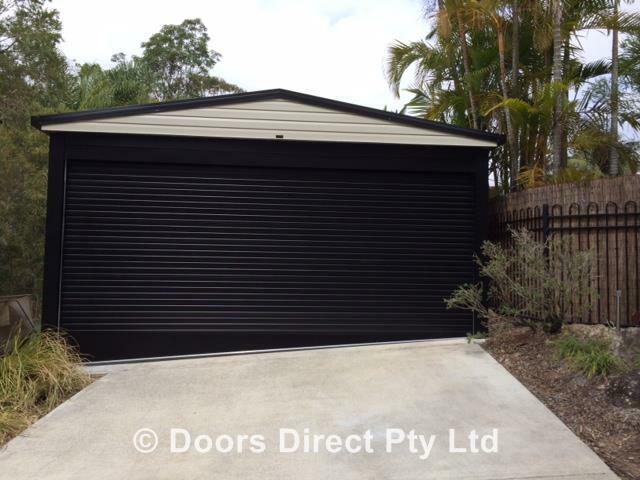 At Doors Direct we can install this steel work for you at the same time as the garage door to give it a complete finished look. Garage doors can also be made with a taper bottom panel to suit the slope in the driveway if your property is on a sloping block. Any and all details are taken into consideration when constructing and installing the door for your carport. Once constructed, our skilled team will be able to quickly install your door and perform safety checks before leaving you to enjoy your new enclosed space. 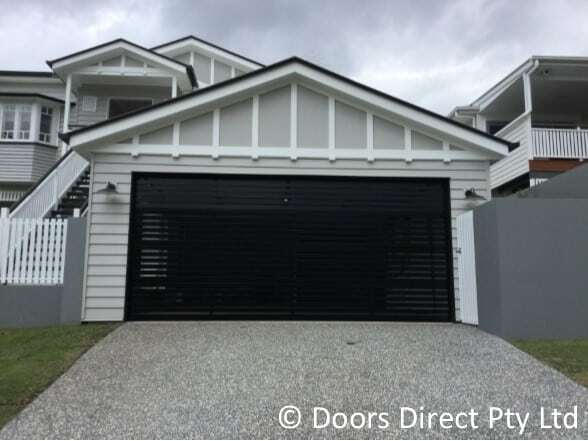 Doors Direct have already transformed the look and feel to hundreds of carports around Brisbane and yours could be next. Our Doors Direct experts will make sure you get the best option available for your carport and space. Check out some of our work and give us a call on 3161 5963 to get your free quote today.